New Delhi, Korean Cultural Centre India, Embassy of the Republic of Korea brings to Indian audience the traditional rhythm and pulsating beat of Korea <Cooking’ Nanta> a non-verbal musical play. 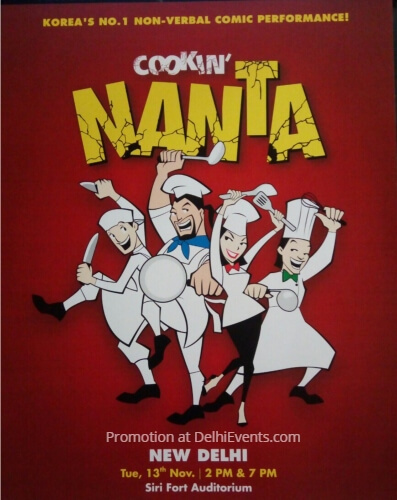 Cookin’ Nanta is touring five cities in India: Vijayawada, Hyderabad, Chennai, Mumbai and New Delhi. The play comically portrays episodes in a kitchen of a restaurant while using Korea’ traditional rhythm with contemporary music to create familiar sound for International audience and helps immerse into an unforgettable experience. The show has been showcased in India several times as a shorted version (30 mins), but for the very first time, it will be showcased as a full show (90mins). It was created by Director Song Seung-hwan in 1997, who was also the executive creative director of the opening and closing ceremonies of the Pyeongchang 2018 Olympic and Paralympic Winter Games.